It should be no surprise that constipation is a major problem among those who suffer from Leaky Gut Syndrome. It is a common occurrence anytime that your digestive tract becomes dysfunctional. But the good news is that there are plenty of natural constipation remedies that can be very effective at helping you not only overcome constipation but to also help regulate your digestive tract and improve your health all at the same time. Please Note: If you suffer from diarrhea which is also very common with Leaky Gut Syndrome, much of this still applies to you. And most people seeking natural constipation remedies have been suffering from chronic constipation for many years. And this can have a significant impact on your health because if you are not removing your toxic waste then your body is reabsorbing it. You are also creating a breeding ground for bacterial infections, parasites, and Candida. And this is part of the process that is creating inflammation and holding you back from healing. If you study the lifestyle habits of many different native cultures around the world that are without the influence of all of the Leaky Gut Syndrome causes, you’ll find that they have perfect digestion and do not suffer from Leaky Gut or any of the degenerative diseases that are common among us today. And under these conditions, it is commonly found that they have multiple bowel movements each day and typically one within 12 hours after every meal they eat. So if you’re not finding yourself moving your bowels at least one to two times per day then you need to pay special attention to these natural constipation remedies. It should also be noted that even if you are going one or more times per day, you can still be constipated. Constipation is also a factor of your transit time. So, if you eat a meal and it takes two or three days before that meal reaches your colon and is eliminated then you are still constipated. Depression and anxiety are just a couple of the many symptoms associated with Leaky Gut Syndrome. But they are major symptoms nonetheless. But what if you could simply treat depression and anxiety with exercise? I’ve mentioned it before that when you perform the right kind of exercise that your body needs, you will actually feel better after your workout as opposed to worse. And this is because of all of the changes that take place within your body, including your brain. Exercise elicits the release of many “happy” hormones within your body including natural endorphins, dopamine, and serotonin. And these hormone levels will remain elevated for hours after your workout. Research has even shown that exercise can effectively treat depression and anxiety, the same or even better, than the leading commonly prescribed antidepressants. In fact, at the conclusion of the 4 month study, the group that used exercise to treat depression and anxiety was shown to have fewer relapses than the group that used the medication. Plus, the exercise group received many other additional health benefits from the exercise during the process. But when was the last time you heard of a doctor who prescribed exercise to treat depression and anxiety instead of antidepressant or anti-anxiety drugs? 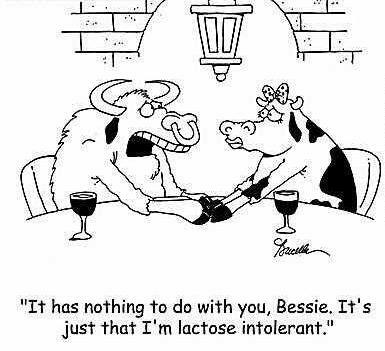 Food Intolerances are a fast growing problem in today’s society, especially with Leaky Gut Syndrome. This is in large part because few people ever correlate their symptoms with their diet or the foods they eat. And in many cases, this is because it can take up to 48 to even 36 hours after ingestion before you develop any symptoms at all. And just for clarification purposes, it should be noted that food intolerances differs from true food allergies by medical definition. The medical community only considers a true food allergy as an IgE mediated immune response which is best known for its immediate and severe reactions such as anaphylaxis, acute swelling, hives, etc. Food intolerances on the other hand are oftentimes delayed and the symptomatic response is far less severe and oftentimes unrightfully ignored. However, as you continue to eat the foods that you are intolerant to then the continuous inflammation that is generated is enough to cause some significant damage within your body. Below I’ve listed 10 signs or symptoms of food intolerances that you need to be aware of. There are a lot of causes of gas and bloating but this is too often overlooked. More often than not, it stems from the inability to properly digest the intolerant food. Then this undigested food can become food for unfriendly bacteria in your gut. This is one of the most overlooked reactions when it comes to food intolerances, largely because few people understand the link between the mucus production and your immune system. This is another sign that can have many causes and in most cases, this can be tied directly to the dysbiosis that is created due to food intolerances. I get plenty of emails and even work with some clients who seem to be doing everything right but they still struggle to get the results they want. And when this happens, you always have to dig a little deeper to figure out what is going on in their life that is blocking them from healing their Leaky Gut. Below, I’ve outlined 3 of the most common mistakes that most people do not take into account which will have a direct effect on your gut’s ability to heal itself. So if you’re struggling then take some time to consider these and whether or not they could be a problem for you. Do Food Allergies Go Away? One of the biggest questions I get from my personal clients is whether or not their allergies to certain foods will ever go away or will they have to eat a special diet forever. The short answer is NO, you won’t have to eat this way forever. But the long answer does get a little more complicated because not all food allergies are created equal. 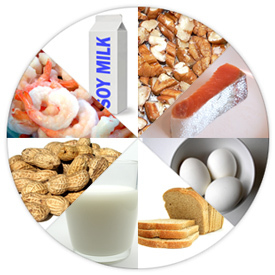 There are differences between genetic food allergies and intolerances of food allergies that are caused by leaky gut. Leaky gut food allergies are immune reactions that you have due to the foods that are actually leaking through your intestinal wall and into your bloodstream where your immune system attacks it. And typically, these are the foods that you eat most often. This is because the more you eat a certain food, the more it leaks into your bloodstream, so the larger the defense that your immune system develops. Once you heal your gut, these food allergies tend to disappear because they no longer present a problem to your immune system. There are also genetic food allergies and intolerances that can have a significant impact on your immune system, health, and chronic symptoms. Dysbiosis is a condition that occurs when there is an imbalance between good bacteria and bad bacteria in the gut. With today’s Standard American Diet (SAD) full of processed foods and sugar, it is more prevalent than ever. Most people shrug it and it’s symptoms off as nothing serious. But if it not attended to it can quickly develop into a much more serious problem called Leaky Gut Syndrome. If you are suffering from any of the leaky gut symptoms below, then you are knowingly or unknowingly suffering from a dysbiosis within your digestive tract. It is in your best interest to start the Leaky Gut Cure program before it gets any worse. If you inflate like a balloon shortly after eating then you have a dysbiosis. Those harmful bacteria in your gut are feeding on your meal and producing gas as an unpleasant byproduct. This gas first starts to bloat your digestive organs until it eventually finds one of two ways to escape. You might get lucky if this gas results in a belch. But gas typically follows the direction of the digestive tract where it escapes as loud and/or foul smelling gas. These are also often the initial signs of the development of leaky gut. You probably don’t realize it but the bulk of your stool is actually made up of live and dead bacteria from your digestive tract. If you are constipated then that is typically a sign that you lack enough beneficial bacteria or that yeast, fungi, or Candida has taken over. Diarrhea on the other hand is typically a sign that your body is trying to remove harmful bacteria or parasites in a hurry. Often times this is a losing battle. Either way, both conditions are a result of dysbiosis. Constant Gas and Bloating – Are You Tired of it Yet? 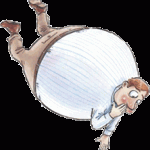 Odds are that you’re one of millions of people in the world that suffer from constant gas and bloating. The first thing you have to understand is that this is in no way normal and actually one of the major contributing factors to poor health. But the vast majority of people don’t quite get it. They continue to live through all of the embarrassing moments and discomfort without ever considering the impact that it is having on their health. What’s the Cause of Constant Gas and Bloating? The truth is that your body does need to produce a little bit of gas in order to maintain enough pressure to keep your intestines from collapsing. That’s just the way your digestive system was designed. But constant gas and bloating is a whole other story. If your gut was healthy then every bit of food you eat is completely broken down by both stomach acid and the enzymes that you produce in your small intestines. Then your small intestines would also do the job of absorbing all of the nutrients. But typically because of poor diet and lifestyle choices your ability to produce enzymes for digesting sugars and other carbohydrates becomes impaired. So many of the simple sugars and carbohydrates that you eat pass right through your small intestine and become food for the bacteria that normally live deep down inside your gut. This literally creates a feast for the bacteria who continue to feed and multiply while eventually moving further and further up your digestive tract and soon become overgrown throughout the small intestines and stomach. And as these bacteria continue to grow they continue to impair your digestion even more and rob your body of much needed nutrients. This process is often referred to as fermentation dysbiosis because these bacteria are actually fermenting the foods you eat. And this process is what produces the excessive gas that you have become so used to. And as this cycle continues you find yourself not only dealing with constant gas and bloating but also the development of major gut dysfunction such Leaky Gut Syndrome and irritable bowel syndrome along with a condition known as carbohydrate intolerance. What Common Foods Cause Constant Gas and Bloating? I’ve been around my fair share of leaky gut. I think it should go without saying that if you have any sort of gut dysfunction then you have dysbiosis. That is the part that everyone seems to agree upon. Where the disagreement arises is in how to properly correct it. If you don’t already know, let me explain exactly what dysbiosis is. Your digestive tract is host to billions and billions of bacteria, yeast, fungus, etc; both good and bad. For a healthy gut, it is all about balance. A healthy gut contains a balance of both good and bad bacteria, of bacteria to yeast, and so forth. When that balance exists, then each does its part to keep the others in check. This healthy balance is somewhere on the order of 80% beneficial bacteria to 20% harmful bacteria. And typically there are the majority of bacteria to the minority of yeast and fungus. But for many reasons, this balance can be thrown off. In our society, I can say with certainty that the two most common reasons are because of the Standard American Diet (SAD) full of processed food and sugar and the overuse of antibiotics. You see, the beneficial bacteria feed on many of the whole food fiber sources in your diet like inulin (plant or vegetable fiber). 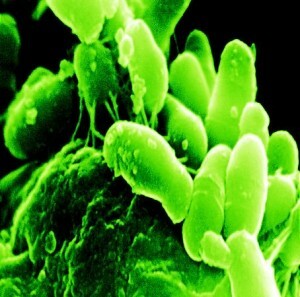 The harmful bacteria however feed on sugar. So with poor dietary choices, which is most often the case, consisting of few vegetables and an abundance of sugar it is easy to see how the harmful bacteria take charge. This results in a reversal of roles in the gut where the harmful bacteria make up the 80% and the beneficial bacteria a mere 20%. This is one way dysbiosis develops and can easily lead to Leaky Gut Syndrome. I think you would agree that antibiotics are very effective at killing bacteria that cause infection. But they are also just as effective at killing beneficial bacteria. When you use antibiotics you are literally wiping the slate clean in your gut. This leaves the re-growth of bacteria up to a rat race. Take into account the SAD diet and the lack of natural sources of beneficial bacteria in your diet and all odds are in favor of the harmful bacteria and yeast. This is why antibiotics are a major cause of leaky gut. There are many health practitioners who claim that correcting dysbiosis is as simple as adding a probiotic (beneficial bacteria) supplement to your daily regime. This would be true if the harmful bacteria and yeast were not overgrown. But that is rarely if ever the case, especially when leaky gut is present. But still, many of the health practitioners do just that. They give you a bottle of probiotic pills and send you on your merry way. You jump with joy as you take them and begin to see signs of relief. You may even claim that your practitioner is a miracle worker. But what happens when you stop taking them? That’s right. Your problems come right back. So you might start another round of probiotics. This cycle continues and continues until you decide to either stick with probiotics permanently or you figure out that there is more going on inside your gut than you might realize. 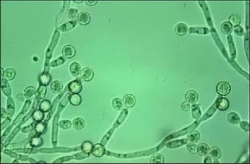 The problem is that all of those harmful bacteria, yeast, and fungi are still there and still holding strong. The probiotic supplements are only providing you temporary relief but they still don’t have ability to take back control of your dysbiosis or leaky gut. If you want true results, then you have to first correct the root of the problem. You have to do your part by following a proper leaky gut diet to help starve those harmful bacteria to give your probiotics a fighting chance at survival. If you want to truly correct your dysbiosis, then you must first create an inhabitable environment for the beneficial bacteria to flourish. Is Leaky Gut Causing Your Seasonal Allergies? Do you suffer from seasonal allergies? Do you also suffer from any of the other leaky gut symptoms? You might be surprised to find how closely the two are related. Maybe you are like me. I never had allergies of any kind growing up. Come to think of it, I don’t remember anyone having them. But today, it seems like allergies plague almost everyone. You might think this is just a coincidence but I have to tell you that it is not. It wasn’t until I had developed leaky gut that I even started to notice the development of seasonal allergies. I would get a cough, runny nose, and watery eyes during the change of seasons. 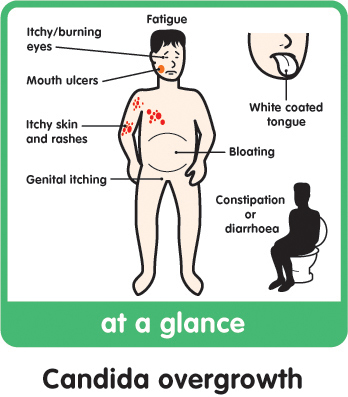 I never thought to question why because these symptoms were so common that they were generally accepted as no big deal. And symptoms that aren’t considered a major health risk tend to get swept under the rug. But for me, things only went downhill from there. I started experiencing digestive problems along with skin problems like eczema. I had no idea that this was all related to my gut and it wasn’t until I addressed the underlying problem that the reality of it really hit home. As soon I healed my gut, my allergies immediately disappeared and I haven’t dealt with them since. When you suffer from increased intestinal permeability, undigested food particles, pathogens, toxins, and other harmful substances are able to actually pass through your intestinal lining and directly enter the bloodstream. All of these substances are considered foreign invaders to the body which prompts your immune system to respond and combat the invaders. The big problem with this is that it is occurring continuously day and night without end. Initially, your immune system does its job and fights off the foreign invaders. 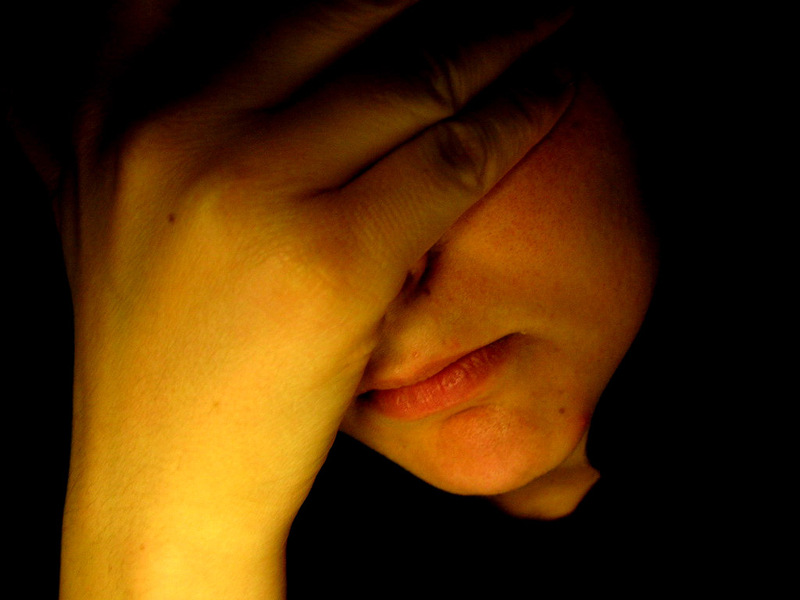 But after battling for a long time without rest, it quickly becomes overstressed and overactive. It is this over-activity of the immune system that prompts it to erratically react to anything it comes into contact with. This includes all of the pollen, mold, and other allergens that are always in the air. It is because your immune system is too busy defending you from your own leaky gut that it doesn’t have the time or ability to properly deal with these allergens. So you are left with seasonal allergies by reacting to any foreign airborne particles that you come into contact with. All of these common airborne allergens have always existed and will always exist. So the days of blaming these allergens as the problem are over. It has little to nothing to do with them and everything to do with your gut health. Seasonal allergies may not be a life threatening symptom but they are definitely trying to get your attention for a reason. They are really a way of your body telling you that something is not quite right. It’s time to start listening to these signs and use them to paint the bigger picture of your health. If you continue to ignore them or mask them with the use of allergy medications then your body will find another way to get your attention. And the next time it does, it will be with more extreme symptoms that won’t be as easy to dismiss. Do yourself a favor and get to the root of the problem by addressing your leaky gut.